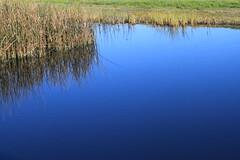 AB 1668/SB 606 water conservation legislation listening sessions in Los Angeles from 9:30 to 3:30pm. Click here for more information. Where did all the trash in the Great Pacific Garbage Patch come from? How do we stop it? : “The water bottle could be from Los Angeles, the food container from Manila, and the plastic bag from Shanghai. But whatever its specific source, almost all of the trash in the infamous Great Pacific Garbage Patch comes from countries around the Pacific Rim. Concerned about the millions of tons of garbage in the patch – a floating blob of trash halfway between California and Hawaii that’s twice the size of Texas – the Ocean Cleanup project is sending out a giant floating trash collector to try to scoop it up. The first of its cleanup systems launches Saturday near San Francisco. … ” Read more from USA Today here: Where did all the trash in the Great Pacific Garbage Patch come from? How do we stop it? Can Steadier Releases from Glen Canyon Dam Make Colorado River ‘Buggy’ Enough for Fish and Wildlife? “Water means life for all the Grand Canyon’s inhabitants, including the insects that are a foundation of the ecosystem’s food web. But hydropower operations upstream on the Colorado River at Glen Canyon Dam disrupt the natural pace of insect reproduction as the river rises and falls, sometimes dramatically. But a recent experimental flow is raising optimism that the decline in insects such as midges, mayflies and caddisflies can be reversed. … ” Read more from Western Water here: Can Steadier Releases from Glen Canyon Dam Make Colorado River ‘Buggy’ Enough for Fish and Wildlife?